R450 is analog Automatic Voltage Regulator with transistors. 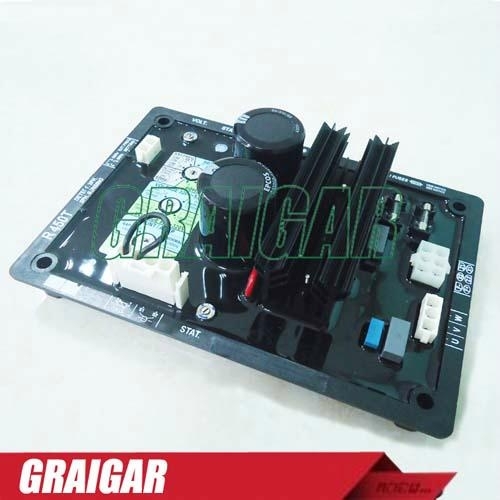 The R450 is analog Automatic Voltage Regulator with transistors. § standard : for LSA 46.2, 47.2, 49.1 and LSA 50.2 alternators. § optional : for LSA 42.2, 43.2, 44.2. alternators Adapted to the SHUNT, AREP or PMG excitation systems. § Voltage regulation +/- 0.5% at steady state and constant speed. § Control by transistor means that the regulation quality is independant of applied load. § Phase to phase voltage sensing. § Suitable for high levels of vibration and harsh environments. § AREP or PMG excitation with normal or fast response. § Single or three phase voltage sensing with optional module. § Rotating switch facilitating selection. The R 450 is compatible with other modules offered by Leroy-Somer enabling additional functions.